What do you want less of” Struggle, Stress, Disappointment, Chaos? What do you want more of: Freedom, Joy Prosperity, Peace, Vitality? The Seven Coaching Wisdoms are guiding principles for personal professional coaches and they are transferable for you in your everyday life. Each Wisdom will spark new insights and perspectives for you. When you practice these principles, you will tap into your deepest, innate wisdom. Your will call forth your own greatness and the greatness of others around you. Transformation in the quality of your life will naturally occur. If you want to put pizzazz back into your life and if you want to give yourself that extra edge you need, No Winner Ever Got There Without A Coach is the book for you. Empowerment Selling demonstrates the paradigm shift from selling a product or service by having to convince the customer that it’s the best product/service (which, at the extreme, would be high pressure sales) to facilitating the customer in a client-generated solution for a successful outcome which helps build collaborative, ongoing relationships—and a long-term sales win/win strategy. We are presenting a powerful approach we call The 3C Principle: Connect. Clarify. Cultivate. The 3C Principle focuses on the essence of this underlying empowerment philosophy for effective sales versus detailed mechanics or formulated scripts and the inference that the seller knows more than the customer. A Guide to Getting It: Purpose & Passion is about perspectives and priorities. This book will change your life, if you are willing for that to happen. The pages in this book comprise a unique guide that will allow you to gain access to powerful, life-challenging insights, examples, and exercises to help you create a clear, compelling vision for your life. Treat yourself to 77 true stories that celebrate life and capture the essence of what it means to be a woman. Like chocolate, these stories soothe, satisfy, and delight — better yet, they’re good for you! Fran will invite you to imagine a world where everyone is living a meaningful and richly fulfilling life. She will call you forth to awaken to your deepest calling – to live true to your essential nature. You have probably realized that in order for the world to change in a meaningful way, each of us must clear what is holding us back and step up to our greatest calling – being true to our essential self. Musicians must make music, artists must paint, and poets must write if they are to be ultimately at peace with themselves. What human beings can be, they must be. They must be true to their own nature. 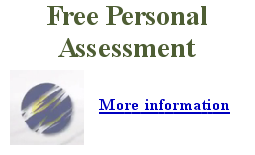 Reflective Exercise: How Fully Am I Living True to My Essence? We all have the extraordinary coded within us…waiting to be released. 1. Fran, what is your approach to helping your clients win in life and business? 3. How does clarity about my essential nature impact the quality of my life? 4. Will you share an example? 5. What is the cost of not living from Essence? 6. What does it take to put this practice into action? 7. What are some tools, tips, or practices that will help me make more empowering choices? 8. How do I bridge the gap from the clarity of my essential nature to living it more fully? 9. How do I put my plan into action? 10. How do I hold myself accountable for following through? 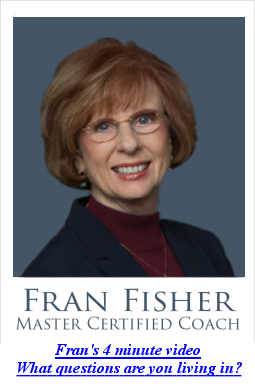 Fran is a Master Certified Coach (MCC), visionary leader, international speaker, and published author. She specializes in providing mentoring for coaches, and coaching services for small business owners, executives, and collaborative teams. Recipient of The Lifetime Achievement Award 2012 by the ICF Chapter Washington State, Fran is recognized internationally as one of the pioneers and champions for coaching. 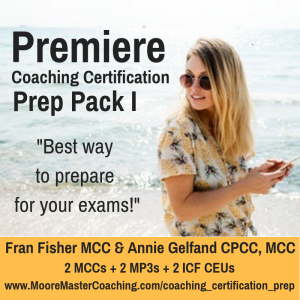 She served as a founding International Coach Federation, ICF, Executive Board member, and co-chair of the Ethics and Standards Committee, responsible for developing the Credentialing Programs for aspiring coaches and training schools. Fran was the first Executive Director of the Association for Coach Training Organizations, ACTO. She is currently serving as an ICF Credentialing Assessor, and Adler International School faculty member. Fran’s passion is helping people liberate their authentic power and manifest their highest visions. She specializes in facilitating a transformational approach for blending the art of visioning with the structure of strategic planning and intuitive listening to empower her clients for greater success and fulfillment. In 1991, Fran founded the Living Your Vision? (LYV) process for empowering individuals in transforming their visions into reality. In 1997, Fran founded the Academy for Coach Training, one of the first International Coach Federation (ICF) accredited schools. In 2005, shifting her focus to private practice, and more writing and speaking, Fran sold the ACT and LYV businesses and their associated trademarks to I & AM, LLC dba inviteCHANGE. Fran is author of Violet’s Vision, www.violetsvision.com, and contributing author to No Winner Ever Got There Without a Coach. Fran lives in Bellevue, Washington, USA. In her leisure time, she enjoys ballroom dancing, hiking Pacific Northwest Trails and long walks on ocean beaches. Tim Rasmusen is owner of Vision Video & Audio Productions in Bothell WA, USA. Tim has produced and directed 100’s of audio/video programs over the past 40 years, as well as being an on air talent for several radio programs. Tim credits include The Today Show, CNN. King 5 news, Reuters News, and public radio programs in the US and Europe. Tim can be found at vvaud222@aol.com or calling 425-672-8409.